Maple cannot accept the following makes of cars for insurance premium reasons: Aston Martin, Ferrari, Rolls-Royce, Bentley or Maserati. If you are to return early from your travels, you must call Maple ASAP. 24hrs minimum is required to inform ACE. Please call 0121 227 3338 (option 1) when you are 15 minutes from the airport. Go through the barrier and collect a ticket to hand to Maple Parking Chauffeur. Park your vehicle in the designated Maple Parking bays and a uniformed chauffeur with ID will be there to collect your vehicle. 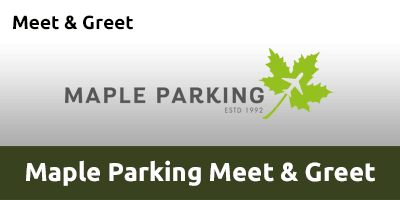 Please call Maple Parking on 0121 227 3338 (select option 1) 15 minutes prior to your arrival at Birmingham Airport. Once You have collected you luggage, Please Call Maple Parking on 0121 227 3338 option 1. Your vehicle will be returned to the designated Maple Parking bays.